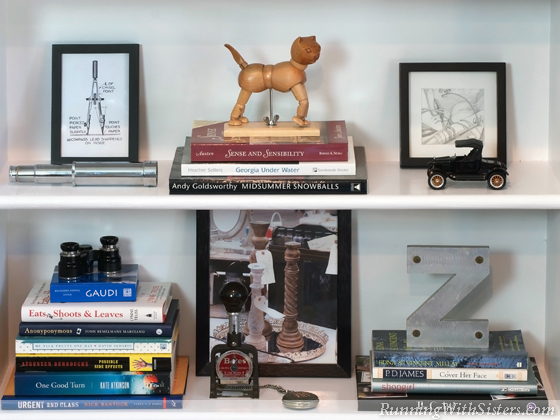 Here’s a fun bookshelf piece we did for HGTV.com. They wanted us to show the basics of bookshelf decorating plus some more advanced designs. We were up to our elbows in books shooting these pictures! Bookshelves don’t have to be boring! 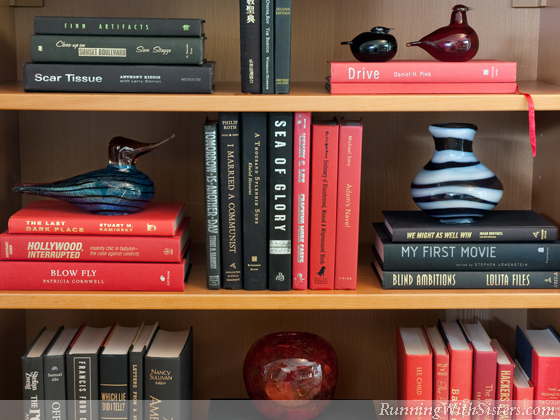 Books are beautiful, and the spaces they create are perfect for decorating. Whether your décor is coastal, modern, or traditional, you can turn an ordinary bookcase into an eye-catching display of style and smarts. Some books are just too pretty to live their lives sandwiched between other texts. Take an especially gorgeous book and face it out on a plate stand amongst rows of other titles. A stunning book will seem like a painting on an easel. And it will not only break up the monotony of a row of book spines, it’ll also bring an artistic touch to your shelves. Give your books added dimension with a little show-and-tell. 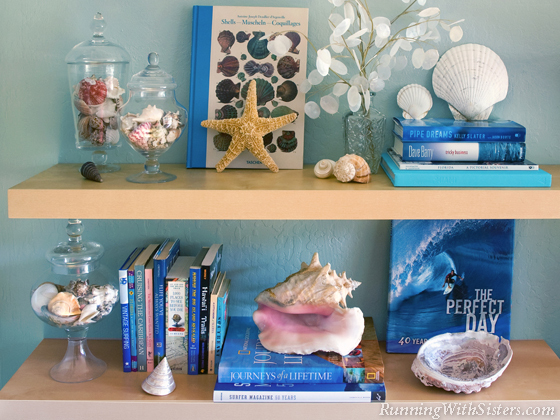 Gather up one of your collections and display it among related books. Showcase butterflies with field guides, souvenirs with travel guides, or Russian lacquer boxes with the fairy tales they depict. It’s like making your books come to life! For a simple-but-chic look, turn books on their sides and stack them up. Space the stacks on your shelves, leaving air around them for photographs and a couple collectibles. Then use the stacks as risers and top each one with a curious item, like a wooden artist’s model, a pair of opera glasses, or a letter from a vintage sign. 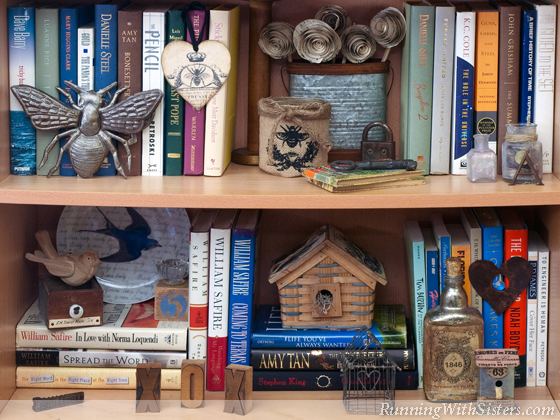 Feature an objet d’art within rows of books by creating a special niche for it. Stack a few books that are the same size to build a platform. Flank each side with vertical books to make a frame, and then nestle a vase or a small sculpture inside. 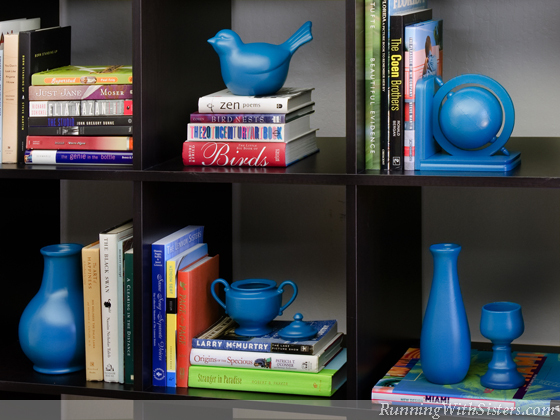 If your bookcases are packed with no space to spare, there’s still room to decorate. 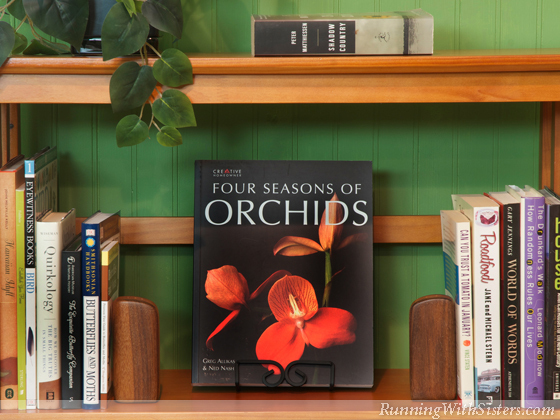 Add interest to your book collection by hanging art from the front of the shelves. 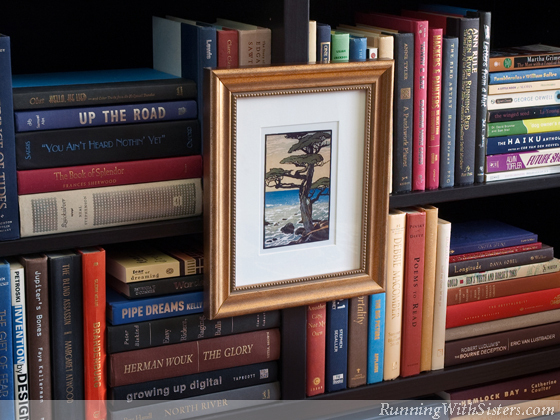 A gilded frame hung on your wall of books turns random book spines into a wallpaper of literature. 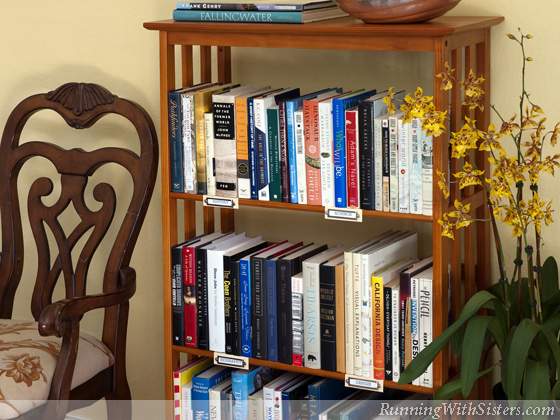 Banish blah bookshelves with a cut-and-paste transformation. 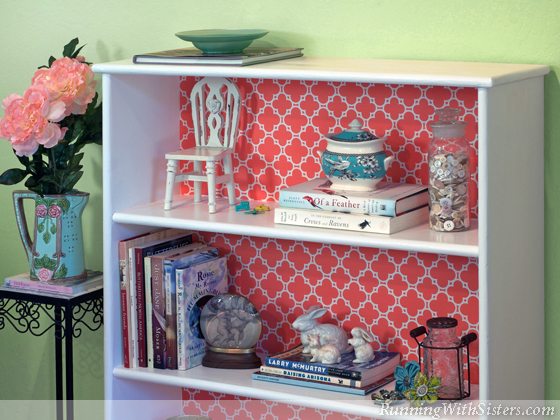 Measure the inside backs of your shelves and cut decorative gift wrap to fit. Paint a layer of Mod Podge onto the shelf back, then press the gift wrap into place. Smooth the paper to remove any bubbles, then finish with another layer of Mod Podge over the top. Can’t commit to a single pattern? Make it temporary with double-stick tape and change your shelves with the seasons! Bored with the Dewey Decimal System? Give a ho-hum library a lift by removing dust jackets and sorting books by color instead. Combine red and black books for high drama, arrange in rainbow order for a smile, or cluster books into cubbies one color at a time. Yellow in one cubby, orange in another! Once you’ve mastered the basics, don’t be afraid to merchandise to the max. Go eclectic with favorite objects in similar materials and hues. 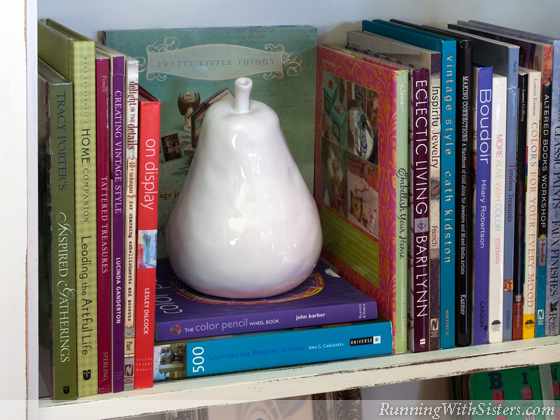 Create a vignette in a niche and hang an ornament from a book spine. Don’t worry about blocking the books, with this approach more is more!